In 2016 our oldest student got in a dinghy for the first time aged 70. You don't need to be super fit or a great swimmer, just confident in the water. Children's RYA courses start at Stage 1 up to 4. Adult RYA courses are Levels 1 to 3. Once you have the basics you may want to gain some more Seamanship skills, Racing, Spinnakers. We have wet suits, bouyancy aids, spray tops. All you need to bring is something for your feet (old trainers will do), swimwear and a towel. So what are you waiting for ? Go on do it, do it now. 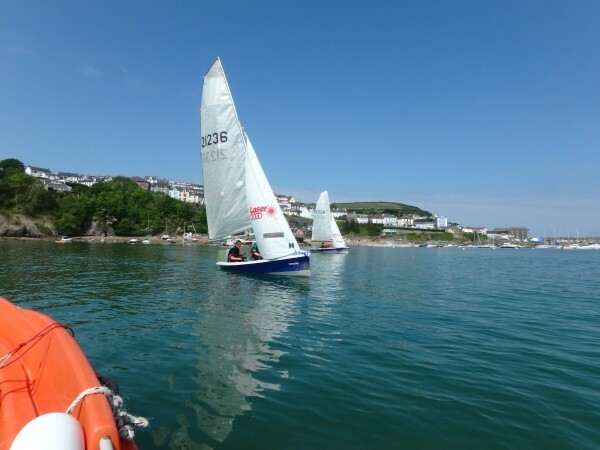 Find out with our taster session, a shore based introduction followed by the opportunity to try your hand at the basics afloat under close supervision, either in a single handed boat on your own or in a double handed boat with one of our instructors. You don't need to be a great swimmer just confident in the water. Bring your own wet suit or use one of ours, a pair of wetboots or old trainers, swimwear and a towel, then your are all set to give it a go. Want to have a go with a high performance boat ? Fancy some high speed action ? Catamarans are fast, wet and exciting! Watch our video clip filmed in New Quay. Book a session with our instructor on board. Expect to get wet because this type of boat puts up a lot of high speed spray! This will be your introducing to sailing to get afloat under supervision. Sail in all directions, including an awareness of launching and recovering. Sail in light winds under supervision. Setting out the foundations of sailing for you. Rig, launch and sail in all directions. Enhance your skills and develop techniques with a range of tasters from the advanced modules. Your introduction to sailing with asymmetric spinnakers. Assumed knowledge - You may have done your RYA level 2 or you have been sailing for a while and now thinking time to get the "kite" up. The boats we use are double handed like the Laser 2000 shown above, so we will start off by making sure you are comfortable with your upwind and downwind sailing. 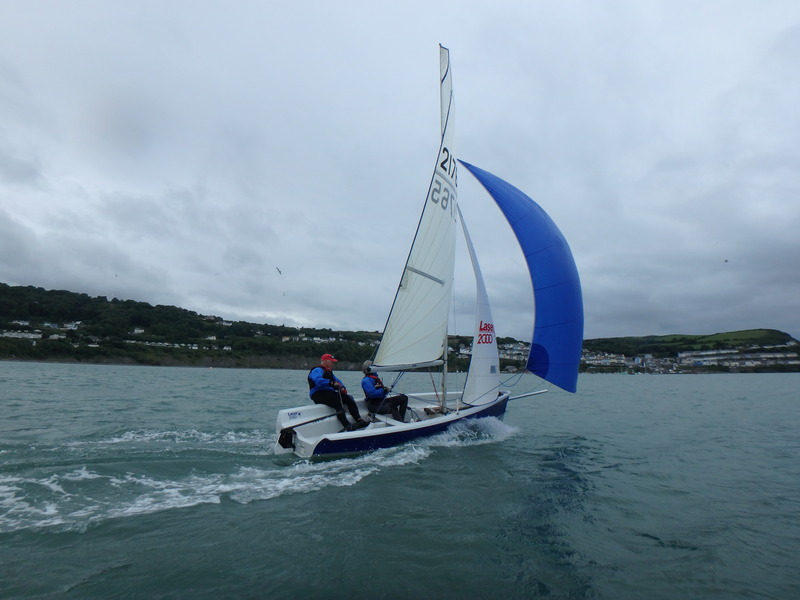 Then some land-drills to start with to practice hoisting and dropping the spinnaker, then back on the water. Expect to take turns at crewing and helming. Both the Laser 3000 and Bahia are fitted with trapeze wires so you might want to give trapezing a try. We will cover the fundamentals of getting off the start line and around the course. Assumed knowledge - Your sailing and knowledge will probably be to the standard of the Level 2 course (Stage 3 for under 16s). It doesn't have to be but the sailing will test your boat handling as you "get up close and personal" with other boats. Work on the skills required to start club racing, including how to maximise boat speed and outwit your opponents. Please note that to make this course effective we need at least 3 students. Whatever it is you want to work on. It might be strong wind sailing, tacking technique, racing skills, spinaker work or sail setting. We will need a conversation with you prior to you coming to us so we can agree a programme to suit you. We can use your boat or ours. The session/s will most likely be one on one with your instructor who will either get in a boat with you or motor alongside. The instructor may well use a video camera so you can review your progress back on the land. Assumed knowledge - You have done the basics but now want to get better. Catamarans are fast, stable and fun to sail. We use a Dart 16 catamaran to teach you how to sail a multi-hull boat. Rigging, launching, sailing in all directions. Capsize recovery and essential safety knowledge. All participants must be able to sail a triangular course. This session is to help novice sailors develop their competitive edge. Ideal warm up for those entering the Cardigan Bay Regatta. We will need a minimum of 3 students to run this course.